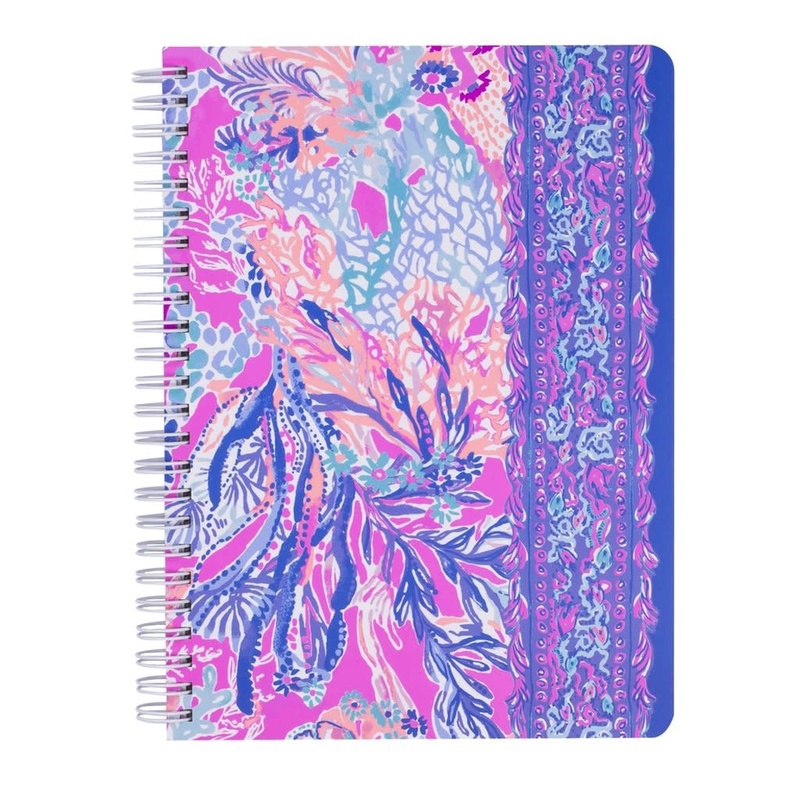 Lilly fans will love writing in this conveniently-sized notebook from Lilly Pulitzer. Featured in purple & pink Aquadesiac print. 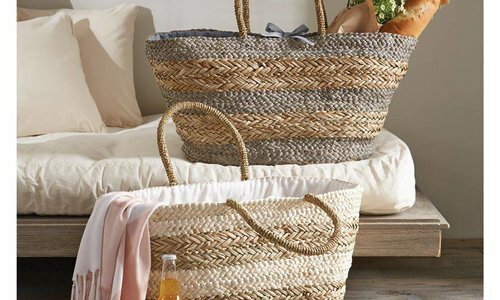 Monogram included! Vinyl personalization included (front center cover). This perpetual to-do planner has you covered with the following sections on each page: to get, top priorities, appointments, calls and emails, and to do! features hand painted cover art, an interior pocket, gold spirals, and gold elastic. 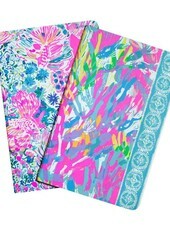 Lilly lovers will be thrilled to write in this conveniently-sized notebook from Lilly Pulitzer. Featured in Beach Please print. 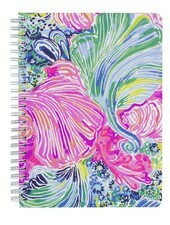 Lilly fans will love writing in this conveniently-sized notebook from Lilly Pulitzer. Featured in Gypset print. 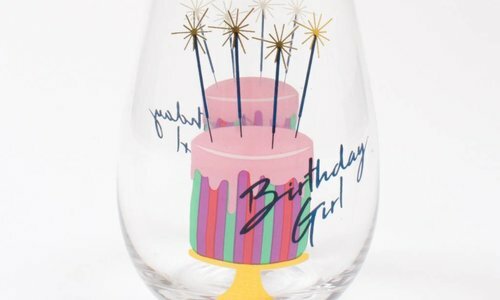 Vinyl monogram included! 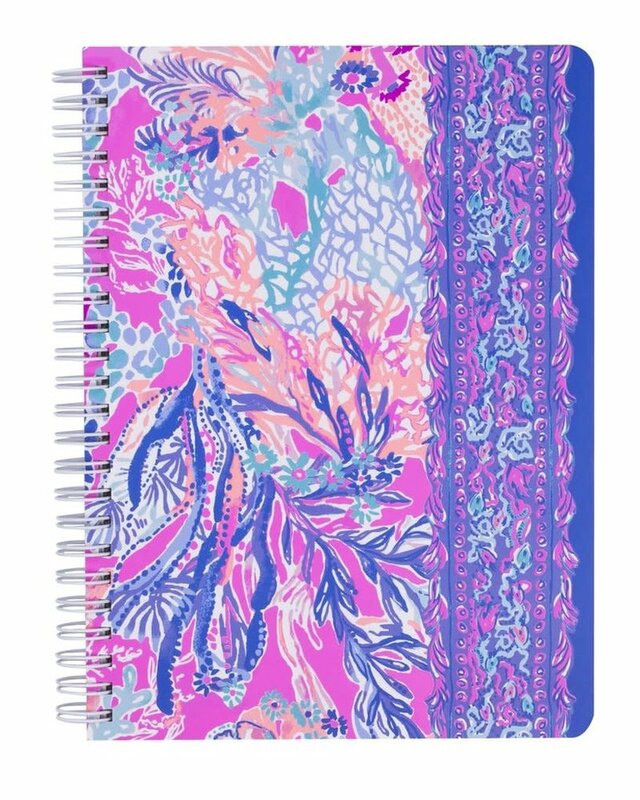 Need more room for notes, doodles, or your next novel? 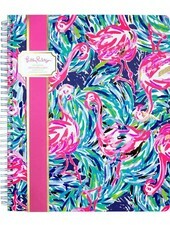 This large notebook has you covered! Features a painted interior pocket and colored spiral. 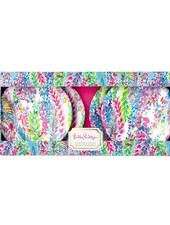 For your next get-together, add these printed appetizer plates to the tablescape. 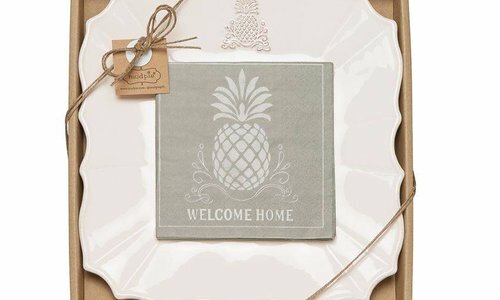 Featured in Catch the Wave print, these plates will take your table to the next level. Comes packaged and ready to gift. 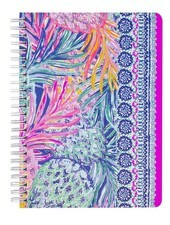 This duo is perfect for keeping up with your semester schedule and class deadlines, plus jotting down notes. sized to tuck inside your large agenda pocket. Vinyl personalization on front cover included. 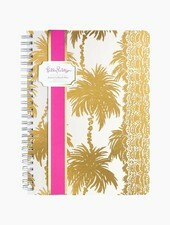 Lilly fans will love writing in this conveniently-sized notebook from Lilly Pulitzer. 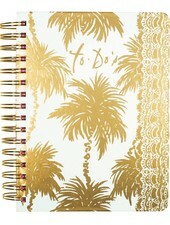 Featured in Metallic Palms print with glistening, gold foil. 160 lined pages. 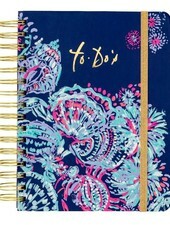 This perpetual to-do planner has you covered with the following sections on each page: to get, top priorities, appointments, calls and emails, and to do! Features handpainted cover art, a designed pocket, gold spiral, and gold elastic. 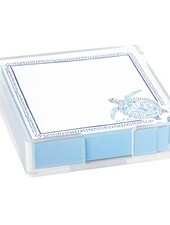 Add a little sunshine to your desk with this clear acrylic notes holder with paper featured in Turtley Awesome Lilly Pulitzer print.